Fiber composite materials, especially carbon fiber composites, have shown great diversity of utility and major advantages over other materials. This is primarily due to their high compressive and tensile strength relative to their mass. However, delamination between layers of fiber or between fiber and reinforcing core, remains a major concern for these materials. This is especially true when used in high-stress environments such as extreme temperatures or high-stakes applications such as passenger jets carrying hundreds of people. A team of aerospace engineers at MIT has developed a bonding strategy that aims to prevent delamination and increase resistance to impact in composites. Like many recent materials innovations, this strategy involves carbon nanotubes. The tubes are embedded in a polymer matrix not unlike that used in typical composite structures, at a density of over 10 billion fibers per square centimeter, then pressed between composite layers. The nanotubes’ alignment forms a bridge, or “stitch,” between adjacent layers. At the nanoscopic level, these carbon “stitches” not only have immense unit strength, but also have the ability to fill tiny crevices between composite layers, maximizing the effective surface area of the bond. The nanotubes provide a significant increase in strength while creating no observable increase in the thickness of the composite. Alternative methods of reducing delamination primarily involve weaving fiber strands between layers of composite. This method, while improving bonding between layers, can be detrimental to the transverse strength of the material as it interrupts the fiber pattern and can require breaks in strands of fiber. However, the nanotube stitching method has been found to create an increase in transverse compressive and tensile strength in addition to bond strength. 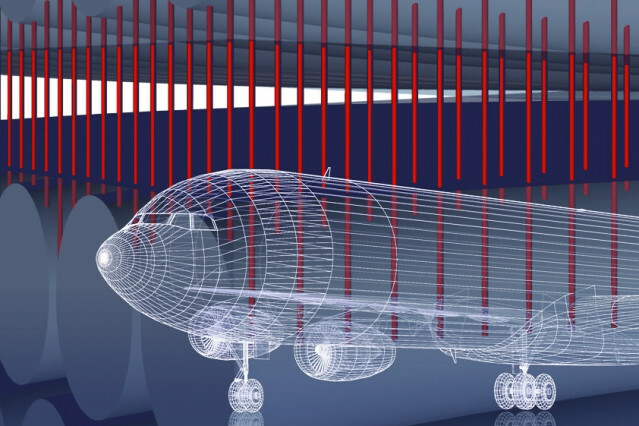 Researchers reported an increase of 30 percent in tension-bearing critical strength and a 14-percent increase in open-hole compression ultimate strength over composite materials not using nanotube stitches. The research article has been published in Composites Science and Technology. Additional information about the laboratory is available at this website. 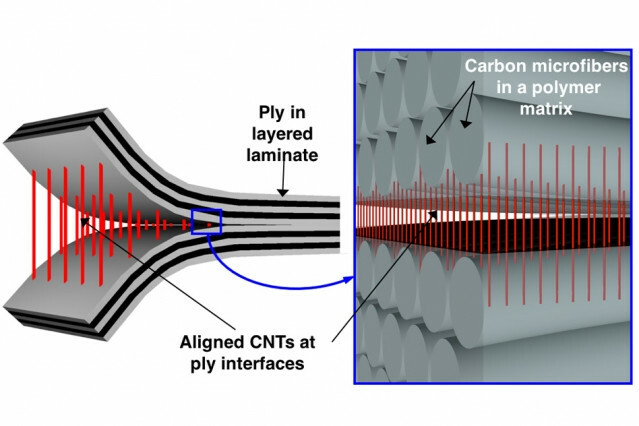 For another example of the power of carbon nanotubes, read about carbon nanotube transistors that finally outperform silicon.